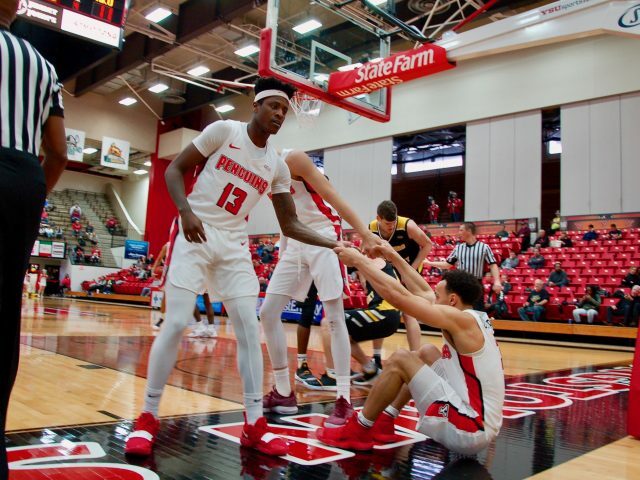 Those were the words of Jerrod Calhoun, coach of the Youngstown State University’s men’s basketball team after its most recent loss to the Northern Kentucky University Norse, 82-74. The Penguins have now lost two games in a row and eight of its last 11 overall. With a record of 6-15, there’s no doubt it’s been a tough year for such a young team. Calhoun has mentioned several times throughout the season that his confidence in his players will not waver and that their time is coming. He said opposing teams better take advantage now while the Penguins are young, because the potential being portrayed now will come to fruition in the very near future. Calhoun added that the Horizon League will have to acknowledge YSU as a contender, because this team’s time is coming soon. The young players he is referring to are guards Darius Quisenberry, Donel Cathcart III, Garrett Covington and forward Naz Bohannon. In the loss to Northern Kentucky, Cathcart led the way in scoring for YSU with 16 points, Covington chipped in 11 points and Quisenberry paced the Penguins with 10 points and 6 assists. Once again, scoring in crunch time was a problem for the Penguins. After playing inspired basketball throughout a game that included eight lead changes and eight ties in the first 29 minutes of the game. Down the stretch, the Penguins were down just 60-57, but after a 13-4 run by Northern Kentucky, the Penguins couldn’t gain any ground and were down 13 points by the 4:35 mark in the second half. Junior guard Donel Cathcart echoed the same message post game, adding the team must find a way. “[It] comes down to the wire. In the last 10 minutes of both games we just played, that’s where it kind of went away. That’s when everyone has to come together as a team and figure something out,” Cathcart said. 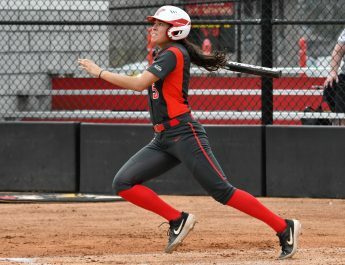 The losses to Wright State University and Northern Kentucky wrapped up a short two-game homestand for the Penguins. The team now hits the road for a three-game trip against Cleveland State University, Oakland University and the University of Detroit Mercy. With only 10 games remaining on the schedule, all against Horizon League opponents, it’s just another opportunity for the young Penguins team to grow. Calhoun added that the team had through Monday off following the loss to Northern Kentucky and started preparations against Cleveland State Tuesday with a refreshed team. Tipoff is scheduled for 7 p.m. on Saturday in Cleveland, when the Penguins visit the Vikings. You can follow the action on 570 WKBN radio or online at ysusports.com.